You’ve probably already heard several jokes about it, but as it turns out, breathing through your mouth is actually more harmful than you might think. Some people breathe through their mouth all day, but others only have this habit at night, when they’re asleep and don’t even notice they’re doing it. Apart from this, breathing through your mouth can bring several negative consequences to your health, such as: it reduces your lung’s ability to absorb oxygen which can have serious long-term health consequences and might even affect your blood pressure and heart health. Since our nose filters and moistens the air we inhale, breathing through our mouth means we’re allowing microbes and other impurities to enter our system. When we breathe through our mouth we dry it out, promoting acidity and increasing the risk of plaque buildup and cavities. We also become more likely to develop gingivitis. People who breathe through their mouth can bother others around them since they’re more likely to snore. This condition may be caused by a nasal obstruction, or even a a habit developed during infancy, and has several long term health risks. If this is you, here are a few valuable tips to help you get rid of this habit: Try sleeping with your head elevated by using an extra pillow. By placing your head in a higher position you’re opening your air passages and preventing snoring. Aerobics and yoga can also be beneficial for people who breathe through their mouth since they encourage inhaling through your nose and exhaling through your mouth. They can be even more beneficial for people who are overweight and tend to adopt this bad habit. If you suffer from allergies and a stuffy nose, try removing anything from your bedroom that may be causing allergy attacks. Items such as carpets, rugs, and old pillows could be worsening your breathing at night. You can also try and break the habit by paying more attention to your breathing. If you need to, put little notes around your home and workplace to remind yourself to breathe through your nose. 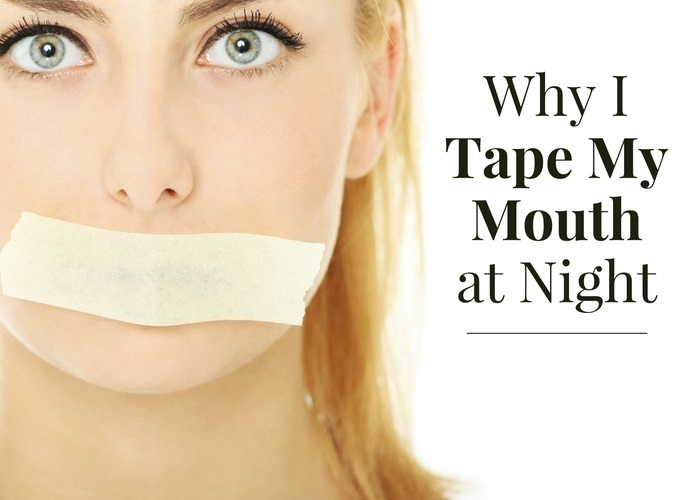 If you normally breathe through your mouth while you’re asleep you can always tape your mouth shut to force yourself to breathe through your nose. 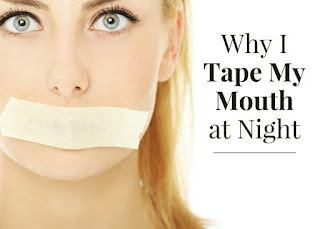 It may be a little uncomfortable in the beginning, so try moisturizing the skin around your mouth to keep it from hurting when you remove the tape. As we’ve said before, some people may have problems breathing through their nose due to an obstruction, like a deviated septum. In these cases, you should consult a specialist. Try to follow our tips, and with practice and patience you’ll be able to break this bad habit! Want To Loss Some Weight? Click Here!